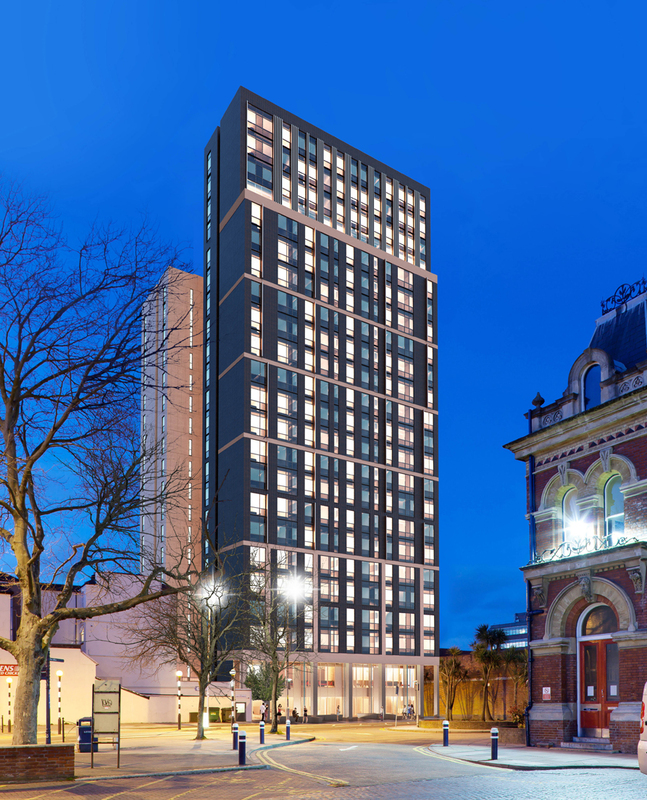 ECE Westworks have been appointed to deliver a new 23 storey 576 bed purpose built managed student accommodation scheme in the centre of Portsmouth. 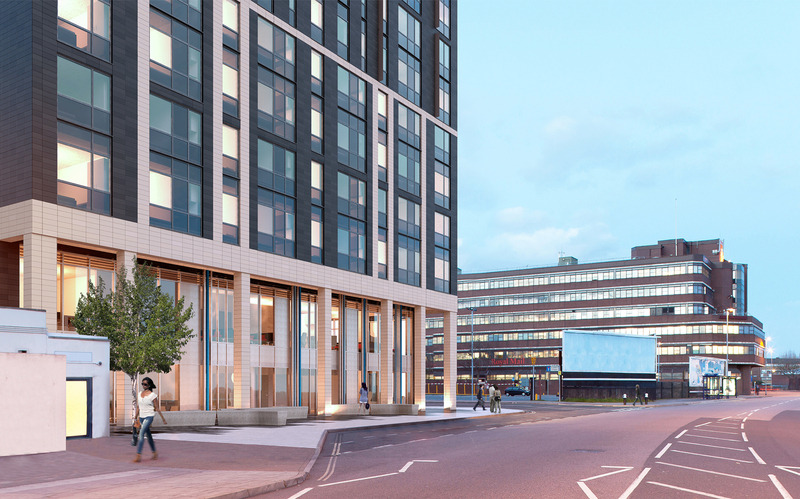 The project has been designed to provide a gateway into the City and form part of an existing and proposed cluster of tall buildings, whilst enhancing the urban realm and providing new active ground uses. 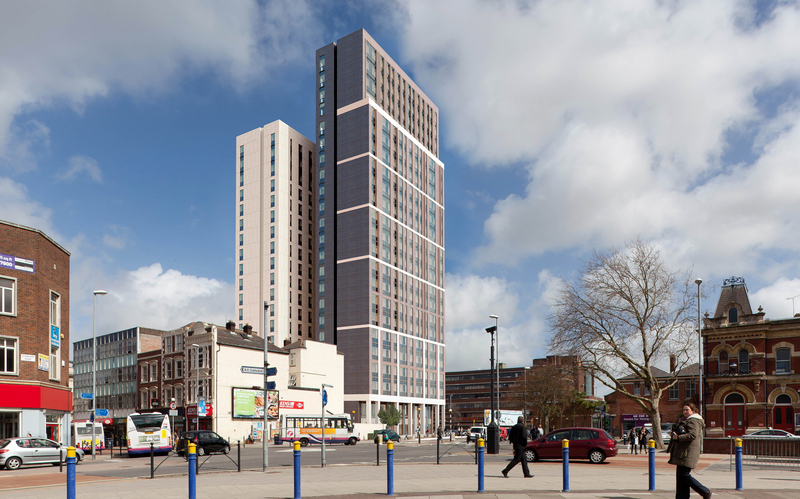 The construction programme has been minimised through the use of pre-cast / pre-fabricated concrete panels, with a scheduled opening in Sept 2018. 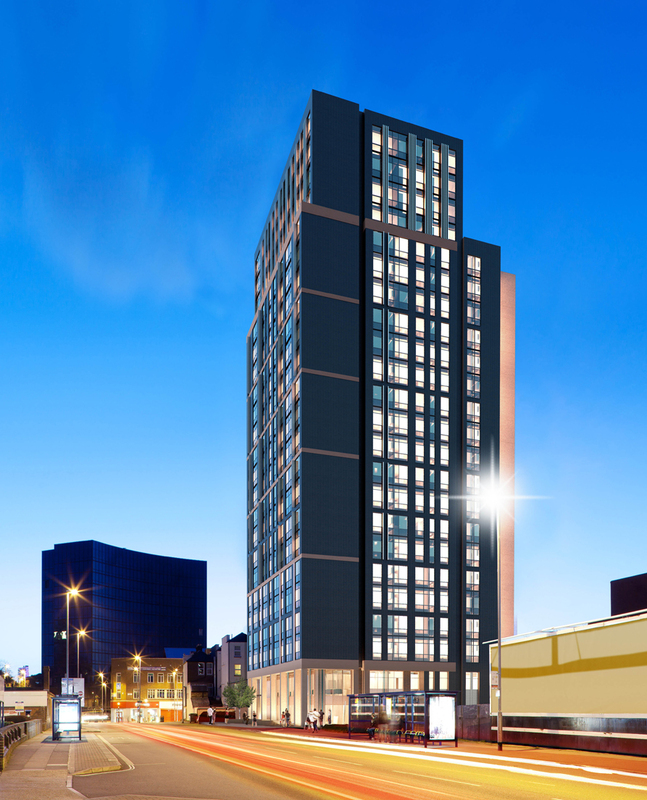 ECE Westworks have secured full planning permission on behalf of our client and are instructed to deliver the project on a Design & Build basis.